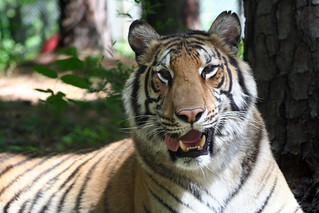 100% of your gift supports Carolina Tiger Rescue's animals and educational programs! You can celebrate a significant occasion, recognize someone special or commemorate a milestone by making an honorary gift to Carolina Tiger Rescue. Personalize your honor gift or recognize a special occasion in the Additional Comments portion of the form. To make a gift in remembrance of a loved one, please use our In Memory donation form.